Katrina and Nick had seen each other now and again because they had mutual friends, but it was not until her sister’s birthday party in 2011 that they really took notice of each other. They started talking that night and have not stopped since. Shortly after that night, they had their first date. When it came time for the next step, Nick wanted to keep things a surprise and concocted an entire fake gala at the Botanical Gardens where they had their first date. He even made a fake party invitation to convince Kathy that it was real! When they arrived, he took her to a private gazebo he had reserved, got down on one knee, and gave her a ring. She was so surprised, and to make it even better, they went right from there to an engagement party he had arranged! To top it all off, she found out that her dream wedding venue had already been booked with their date set! Well done, Nick…you set the bar pretty high there! We were so looking forward to their wedding, and it was even more beautiful that we had expected. We started out at the Four Seasons with the girls and guys getting ready. 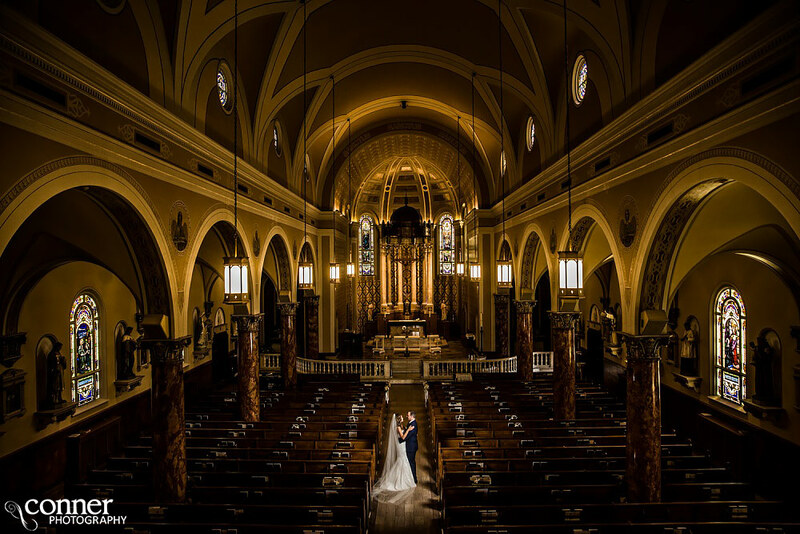 From there we went to the ceremony at the amazing St. Ambrose Church in the historic Hill neighborhood. We had not been there in years, and it is one of our favorite churches. Because of Kathy’s Filipino heritage, they involved many of their traditions in the ceremony which was very special. After the ceremony and photos in Forest Park, we headed to Kathy’s dream reception location…the Caramel Room at Bissingers. 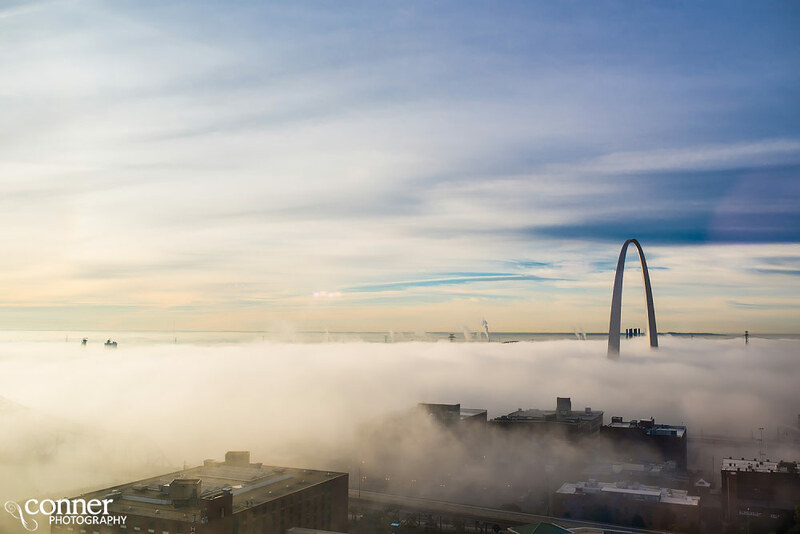 She has good reason for loving this place so much…it is pretty much one of the best places in all of St. Louis for any event. Plus, the staff there is the best. 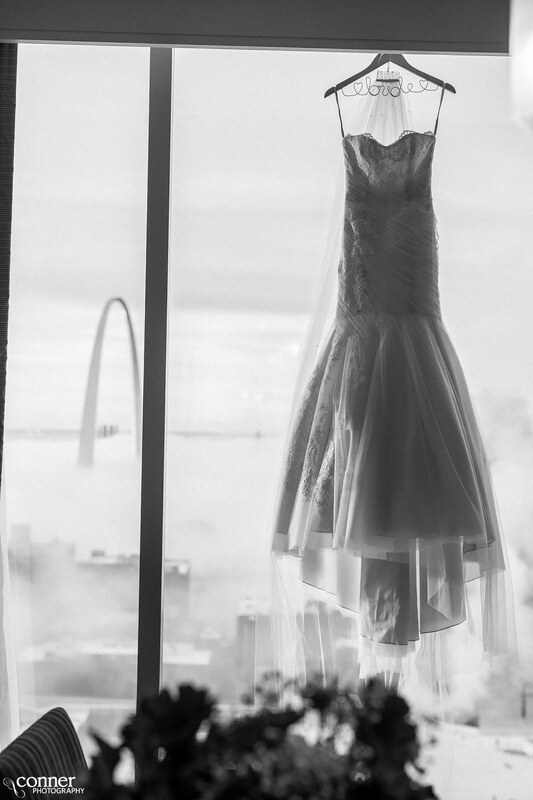 We had the pleasure of working with the amazing Casey for this wedding, and she took care of absolutely everything. It was a wonderful reception with lots of laughs and love, and the party did not stop. Also, special thanks to Sabrina and Stephanie from Proposing Dreams for doing the day-of coordination and keeping things running smoothly! Here are some of our favorites from the day. Huge congrats to Kathy and Nick, and thank you for letting us be a part of your day! !